Bonrix RetailDesk POS RetailDesk is an innovative Point of sale product by Bonrix Software Systems. It is a one stop POS solution comprising of state of the art features. 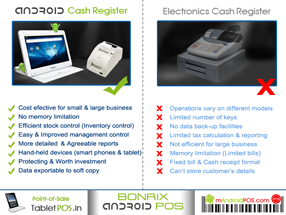 Bonrix Android Cash Register RetailDesk is an innovative Point of sale product by Bonrix Software Systems. It is a one stop POS solution comprising of state of the art features. 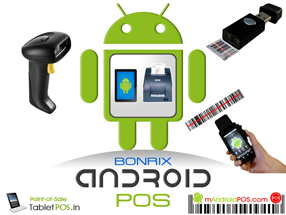 Bonrix Android POS A one stop POS solution comprising of state of the art features which are must in any POS product. Bonrix RetailDesk with split payments RetailDesk is an innovative Point of sale product by Bonrix Software Systems. It is a one stop POS solution comprising of state of the art features. Bonrix RetailDesk Online Webstores RetailDesk is an innovative Point of sale product by Bonrix Software Systems. It is a one stop POS solution comprising of state of the art features. Bonrix RetailDesk embedded in HTML 5 RetailDesk is an innovative Point of sale product by Bonrix Software Systems. It is a one stop POS solution comprising of state of the art features. 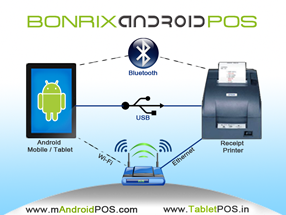 RetailDesk is world's popular android based POS solution powered by Bonrix Software Systems. RetailDesk works with almost all touch screen mobile devices and supports Android 2.3 and higher versions, be it a Touch-Screen Kiosks, Notebooks, Tablets and Large screen mobile phones. RetailDesk works with almost all touch screen mobile devices and supports Android 2.3 and higher versions. RetailDesk is targeted to variety of retail verticals including Liquor shops, Flower shops, Electronic shop, Restaurants and many more! RetailDesk is by far much better than typical Cash registers. Cash registers do not offer scalability and they do not grow with your business. At some time, they become bottle neck for your business; this is where RetailDesk helps you grow your business.